Home Bank Guarantees What is a Counter-Guarantee? Counter-guarantee means any guarantee, bond or other payment undertaking of the instructing party, however named or described, given in writing for the payment of money. Bank guarantee means any signed undertaking, however named or described, providing for payment on presentation of a complying demand. 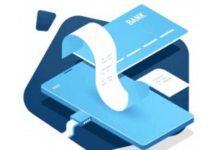 Letter of credit means any arrangement, however named or described, that is irrevocable and thereby constitutes a definite undertaking of the issuing bank to honour a complying presentation. Under certain situations, exporters do not trust the issuing bank’s payment undertaking and seeks additional assurances in letter of credit transactions. Confirmation is a security tool that is created for the exporters, who is looking for additional assurances. 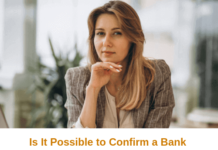 Unlike letters of credit, banks could not add their confirmations to the bank guarantees that have been issued by another bank, because latest version of bank guarantee rules do not define the confirmation process. Instead of a confirmation, URDG 758 defines another mechanism, which is called counter guarantee. On today’s post, I will not only define the counter-guarantee process, but also explain its structure, as well. How Does a Counter Guarantee Work? The figure below explains how does a counter-guarantee work in international trade transactions. Step 1: The principal and the beneficiary sign a sales contract. In order to be able to talk about the counter-guarantee, the principal and the beneficiary should be located in different countries. Otherwise the principal could have issued a bank guarantee in favor of the beneficiary without using any form of counter-guarantee. Step 2: The principal gives instructions to his bank to issue a counter-guarantee. 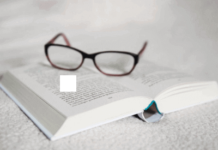 Step 3: The instructing party, who is the principal’s bank, issues a counter-guarantee in favor of the guarantor bank to issue the bank guarantee against its counter indemnity. Step 4: The guarantor bank issues the guarantee in favour of the beneficiary. What are the Parties to a Counter-Guarantee? 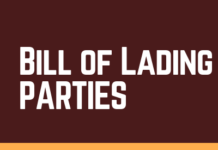 The Principal: The party requesting the issuance of a counter-guarantee. The Instructing Bank: The bank that requests to the beneficiary’s bank to issue the guarantee against its counter indemnity. The Guarantor Bank: The bank that guarantees that the agreed compensation amount will be paid if the guarantee principal fails to meet its contractual obligations and the beneficiary makes a complying demand in writing according to terms and conditions of the guarantee. The Beneficiary: The party in favour of whom the guarantee is issued. What are the Advantages of a Counter-Guarantee? 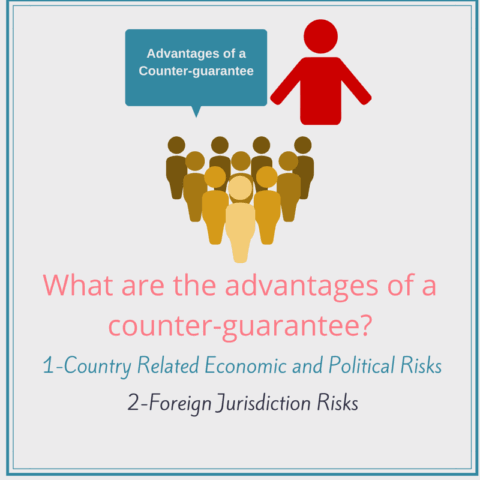 Counter-Guarantee Eliminates Country Related Economic and Political Risks: Bank guarantee, that is issued by a guarantor bank, which is located in a country other than the beneficiary, may not be satisfactory, especially when the guarantor bank is located in a high risk country. For example, bank guarantee issued by an Afghan bank would not mean anything for a medium size manufacturing company located in USA. As a result in order to protect its interests, the US manufacturing company may demand a bank guarantee issued by a US bank. By having a bank guarantee issued by a US bank, US manufacturing company eliminates country related economic and political risks. Counter-Guarantee Eliminates Foreign Jurisdiction Risks: I have already mentioned on my previous articles that bank guarantees are applicant oriented trade finance tools. Which means that demand guarantees may protect applicants’ interests more than beneficiaries rights. It is not an uncommon practice to stop the payments under bank guarantees by local court order. By having a local bank guarantee, beneficiary may eliminate foreign jurisdiction risks. What are the Main Specifications of a Counter-Guarantee? Independence of Counter-Guarantee: A counter guarantee is an independent form of facility than the bank guarantee. Additionally, counter-guarantee is also independent from the underlying transaction and any instructions received by the instructing bank. As a result counter-guarantee is bound by its own terms and conditions. Independence of a counter-guarantee has a gigantic effect in legal situations. Counter-Guarantee and Bank Guarantee Need Not to be a Mirror Image Each Other: For example expiry of the counter-guarantee may be different than the bank guarantee. 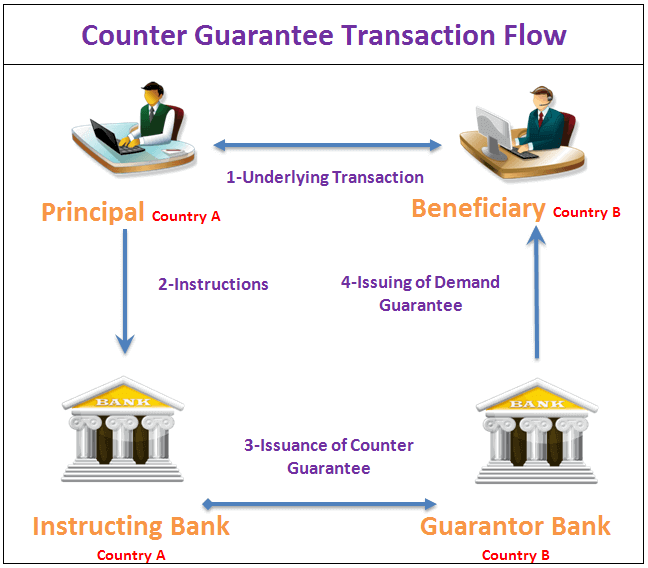 Counter-Guarantee and Bank Guarantee may be Issued in a Different Form of Facilities: For example, while the counter guarantee is issued as a demand guarantee, the guarantee can be structured as a surety. What are the differences between counter-guarantee and bank guarantee? Bank guarantee issued by the guarantor bank in favor of a beneficiary. Counter-guarantee is issued by the instructing bank in favor of the guarantor bank in order to facilitate the issuance of the bank guarantee. 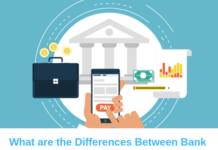 Bank guarantee and counter-guarantee are separate instruments as a result they may be issued in different structure. What are the differences between counter-guarantee and confirmation? 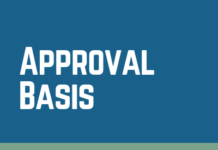 Unlike letter of credit rules, bank guarantee rules do not allow for a confirmation. Under letter of credit transactions confirming banks add their confirmation on the same L/C. Under bank guarantee transactions, guarantor banks issue a seperate bank guarantee after they receive an independent counter-guarantee from the principal’s bank located in abroad. Instructions to a correspondent bank for the issue of a performance guarantee against a counter-guarantee. We have been informed that Daihon-dai Corporation. Tokyo, Japan, (hereinafter called “the principal”), has entered into contract No. 2014/0001/Cnt dated 15.July.2014 with you, for the supply of 1000 Metric Ton/Metric Tons of Stainless Steel. Furthermore we understand that, according to the conditions of contract, a performance guarantee is required. the respect in which the principal is in breach. Proof of identity certificate issued and signed by our branch in beneficiary’s country or else one of our corresponding bank’s located in beneficiary’s country stating that the bank has verified beneficiary’s signature(s) appearing on the first demand of payment. This guarantee shall expire on 15.December.2015 at the latest. Consequently any demand for payment under it must be received by us at this office on or before that date. This guarantee is subject to the Uniform Rules for Demand Guarantees, ICC publication No. 758. In consideration of your issuing your guarantee as above, we hereby give you our irrevocable counter-guarantee and undertake to pay you any sum or sums not exceeding in total amount of 300.000,00 USD (say Three Hundred Thousand USD) upon receipt by us this Office no later than 30.December.2015 of your first demand. 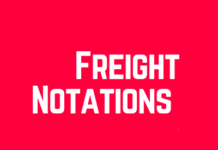 Such demand shall be supported by your written statement that you have received a demand for payment under your guarantee in accordance with its terms and Article 20 of the Uniform Rules for Demand Guarantees. Please confirm us the issuance of your guarantee. Next articleWhat are the Differences Between Bank Guarantees and Letters of Credit?